A day-by-day look at how an attack on your company will play out. 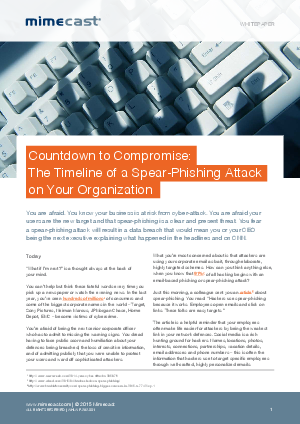 Spear-phishing is one of the most dangerous and insidious cyber threats today. Successful attacks prey on unsuspecting users, damage corporate reputations and cause millions of dollars in financial losses.